Advertising is 85% confusion and 15% commision. 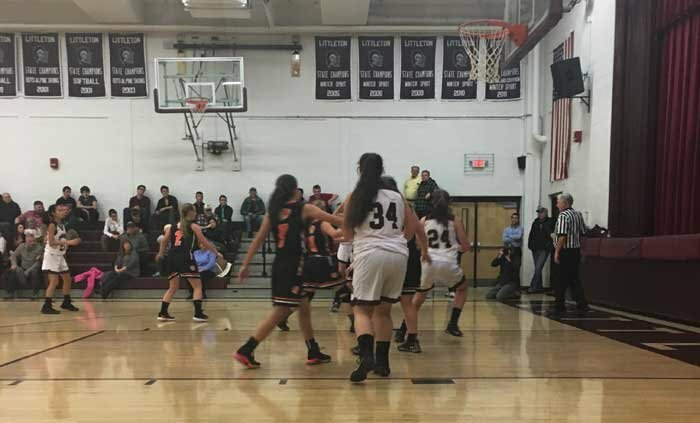 The Littleton Boys and Girls Varsity Basketball teams hosted Lisbon High School December 14. The Lady Crusaders had a great game in which they outscored the Lisbon Panthers 65-26, they were very active on the glass and had a lot of offensive rebounds and played superb defense coming up with a ton of steals. The boys had a much closer game in their home opener although still winning 51-47. They seemed to not be making the shots that they usually make but still played very well and were very active on the defensive end. Can’t complain at all about two wins in a very good night of Littleton Basketball.